Citrus limonum fruit peel, cold pressed, from Sicily. 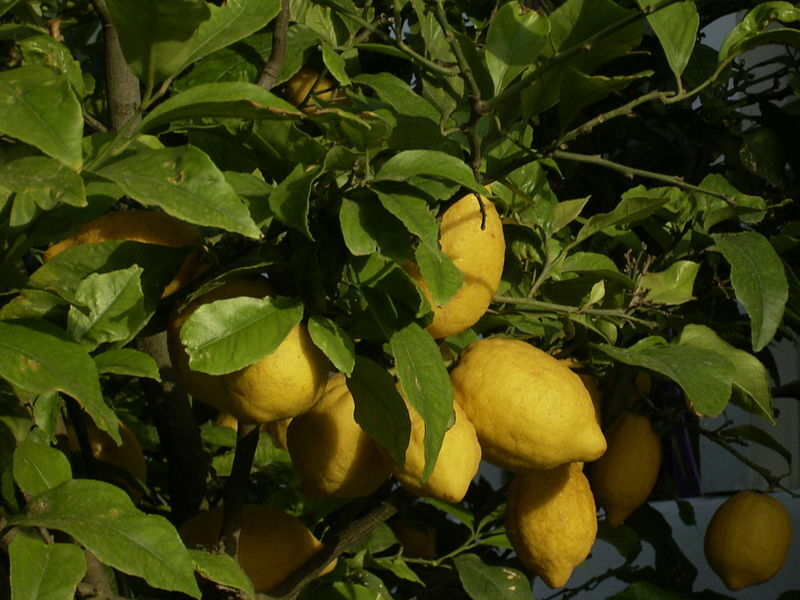 Lemon is highly prized for its high anti-bacterial properties. On skin and hair it can be used for its cleansing effect, as well as for treating cuts and boils. For gentle treatment of the 'flu and to prevent its spread, diffuse 4 parts lemon to 1 part lavender wherever the sick person is. I use a pot on the stove when my children are sick. It gently clears congestion, allieviates symptoms and lifts the spirits, while keeping me well! limonene 50-90%, b-pinene 3-20%, g-terpinene 1-12%, a-pinene 1-4%, neral 1-5%, myrcene <2%. Safety Information: Phototoxic. [Robert Tisserand, Essential Oil Safety (United Kingdom: Churchill Livingstone, 1995), 207.] Do not use if the area of application will be exposed to sunlight for 24 hours due to its phototoxicity.